New Zealand's North Island is best experienced on the road. Just three hours away from Melbourne or Sydney, it's an accessible holiday destination that boasts diverse landscapes and experiences for all kinds of holidayers from the relaxed traveller to the adventure seeker. Pack the car drive beautiful winding roads past ancient forests, stunning beaches and up-and-coming cultural hubs. Here's a step-by-step guide to the ultimate road trip through the North Island's Coromandel Peninsula and the Bay of Plenty regions. Check out which Auckland area is on our must-visit list or find a getaway closer to home in one of Victoria's best wine regions. 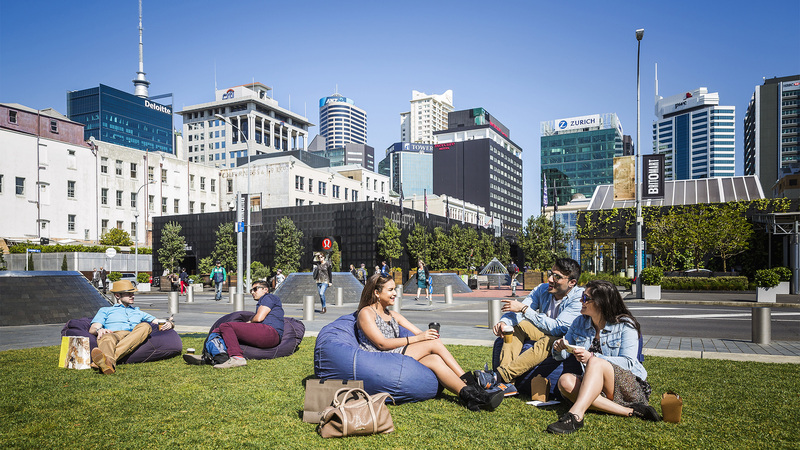 With its burgeoning restaurant and arts scenes, Auckland is New Zealand’s up-and-coming creative hub. 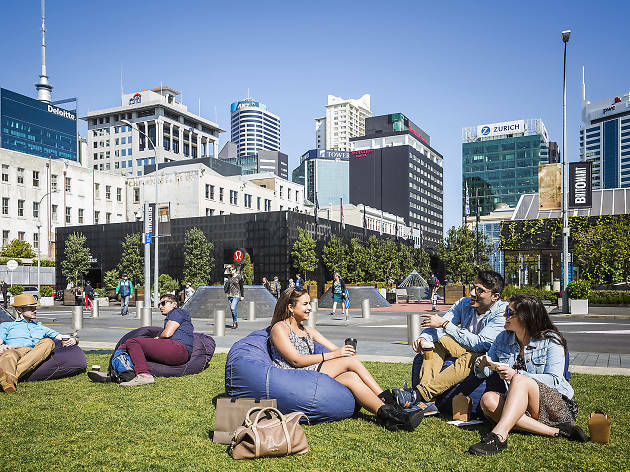 If you only have one night to stay in the big smoke before you hit the road, book a luxurious night at the Grand Mercure Auckland, located a skip away from the harbour and the hip Britomart area. Taste the best that Auckland has to offer with the Big Foody Food Tours. Leave it up to founder Elle Armon-Jones and she'll lead your taste buds through a foodie's tour of the city's best dining spots, markets and more. Prefer a self-led tour? Book in a meal at Culprit, a casual diner serving tapas-style small dishes. Chefs Kyle Street and Jordan Macdonald use local ingredients which are highlighted in dishes like the chicken liver parfait with mini doughnuts or a kingfish ceviche with fish caught on the day. Finish off your meal with a visit to Miann in nearby Britomart – this dessert bar makes killer French-style gateaux and gelato flavours that are nothing but ordinary. Don’t let your North Island adventure end there: consider Auckland as your launchpad for a roadtrip around the Coromandel Peninsula and the Bay of Plenty. No car? No problem. Book a spot on an InterCity bus to take you across the Coromandel Peninsula all the way to Tauranga in Bay of Plenty, known for its excellent beaches. If you’re driving, follow the Pacific Coast Highway – a scenic route that will take you off the beaten path into Hahei, a coastal town popular with Auckland holiday makers. If you only visit one beach in the Coromandel, make it the Hot Water Beach, which boasts an underground river that flows up to the surface, carrying hot mineral waters. Bring a shovel at low tide and dig yourself a natural spring bath while you look out to the Pacific Ocean. 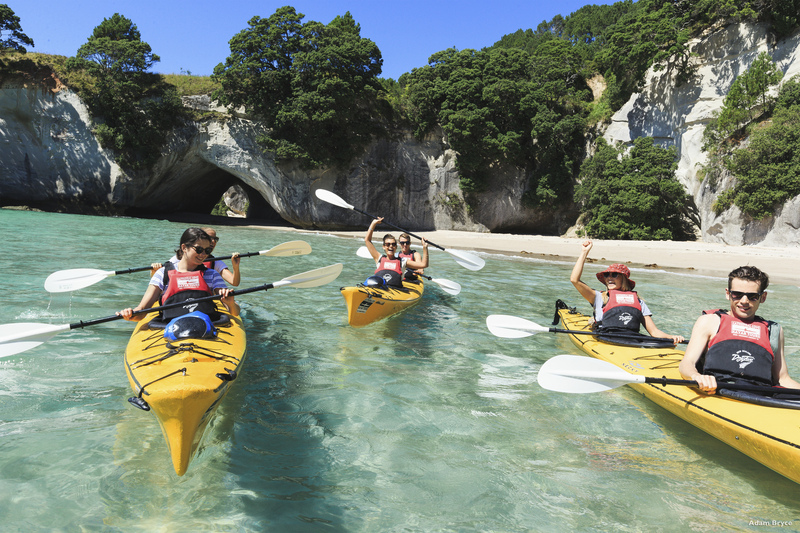 Book yourself into a kayak tour of Cathedral Cove with the Cathedral Cove Kayak Tours team, who will you on a guided tour of a stunning beach vibrant with protected marine wildlife and home to what is probably the most Instagrammed rock arch in the North Island. 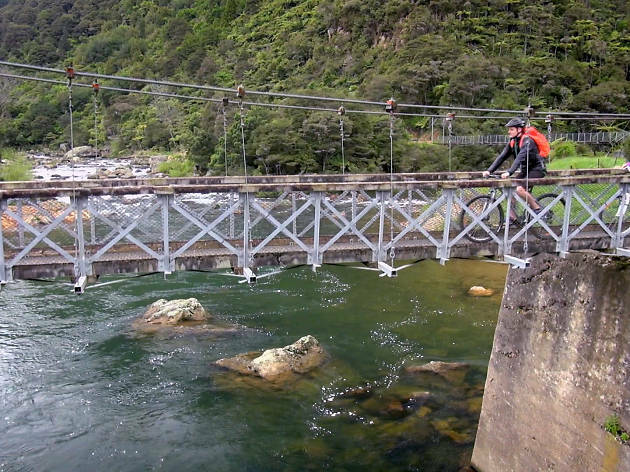 Head inland towards the Hauraki Rail Trail, a three to four-day ride that will take you through some of the Coromandel Peninsula's scenic routes. 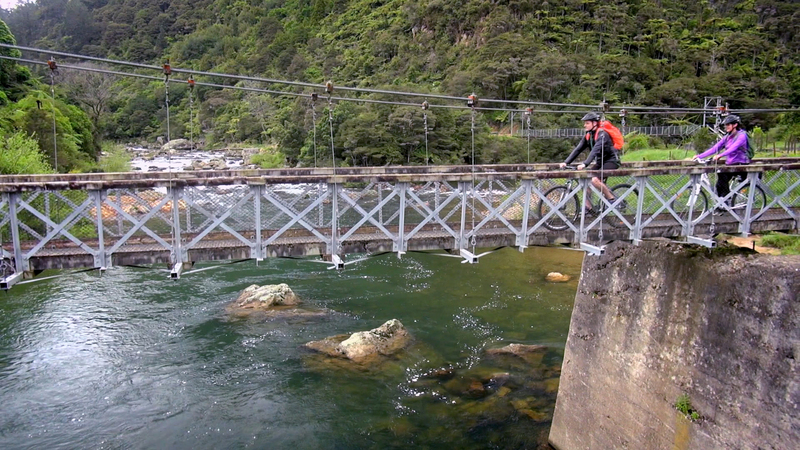 Check out the Karangahake Gorge, which is part of the Hauraki Rail Trail, where you can experience the stunning Jurassic Park-like native vegetation and the mysterious tunnel remnants of a gold mining site. Need a guided tour of the Coromandel? 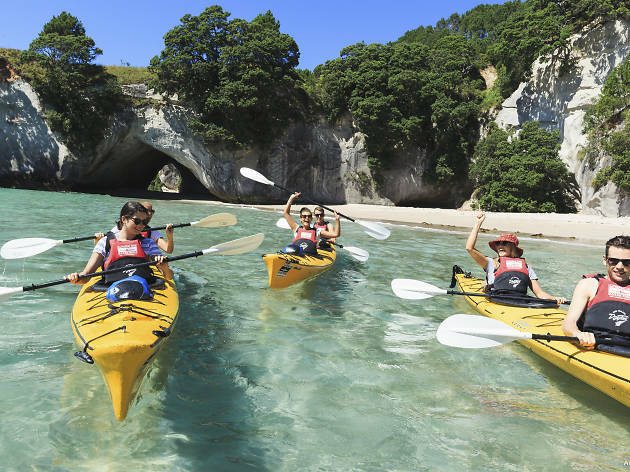 The Coromandel Adventures crew know the area like the back of their hands and offer great tours for the day-trippers to travellers after a multi-day experience. Grab a meal at the Falls Retreat, a cosy country bistro set in the middle of lush woodland. Stay at the fully equipped adjoining cottages for a bush getaway just minutes away from Karangahake Gorge and the Owharoa Falls. If you're staying close to Cathedral Cove, get the Kiwi beach pub experience at the Pour House a family-run pub which houses the Coromandel Brewing Company. Their woodfired pizzas are just the thing to go with the craft brews made just metres away from the pub. Stay right by the beach at the Hahei Beach Resort, a beachside holiday resort frequented by local families and young backpackers alike. The location is close to many local attractions like Cathedral Cove and Hot Water Beach, and travellers have the options of staying in budget-friendly cabins or beach-facing villas that are perfect for couples. 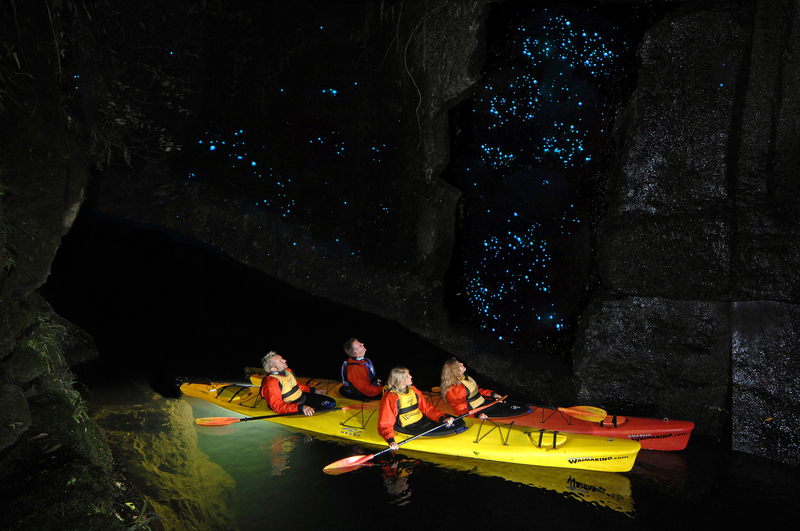 Experience a different kind of nightlife in Tauranga on a glow worm tour with Waimarino Kayak Tours. The trip kicks off with some wine and cheese, then involves rowing towards a narrow canyon. 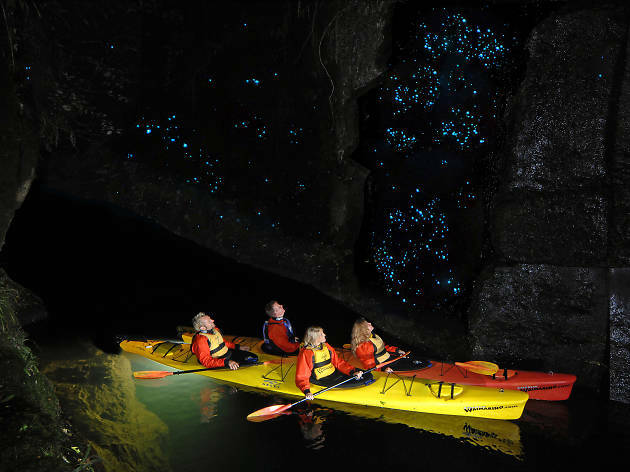 When it’s dark, you’ll see the blue-green glimmer of the glow worms light up the bush. It’s a magical experience, and when the stars come out, it’s difficult to see when the bugs stop and the stars begin. Papamoa, a suburb of Tauranga, is fast becoming one of Bay of Plenty's biggest tourist drawcards. 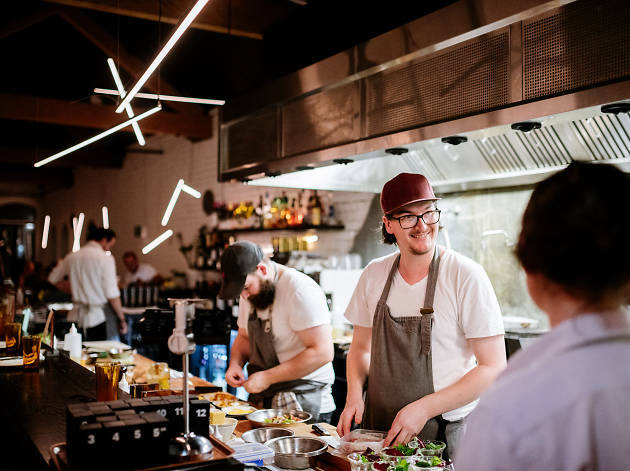 In the warmer months, Kiwi holidaymakers and cruise ship travellers from Australia and beyond settle into the beachside suburb, and with the suburb's incresing popularity comes a thriving foodie scene. Dine by the beach at the Bluebiyou, an all-day restaurant next to the Papamoa Beach Resort serving breakfast, lunch and dinner with a view. Head to Papamoa Beach Tavern for a pint of local craft brew and a burger. The old school shack-like bar and restaurant is a popular haunt for beach-loving locals lucky enough to live on the sea side suburb all year around. Save room for the mean dessert waffles made fresh to order. Kiwis love their holiday homes, locally known as ‘baches’. For a taste of the Kiwi bach life, the Papamoa Beach Resort is a great holiday park with shacks at various price points. Try to book a spot in one of the beach-facing holiday units, where you can wake up to the sounds of the waves every morning. Air New Zealand flies daily to Auckland from Melbourne, with some flights operated by widebody Boeing 777 or 787 Dreamliner aircraft. These services feature Business, Premium Economy and Economy cabins. You won’t get bored, with hundreds of hours of entertainment available on demand, including Shortland Street, rugby and of course, Sir Peter Jackson’s Lord of the Rings and The Hobbit. From new bar openings to avant-garde galleries; hip hotels to nearby nature these five neighborhoods have more than their fair share going on this year. Stay and play in one on your next big overseas trip.